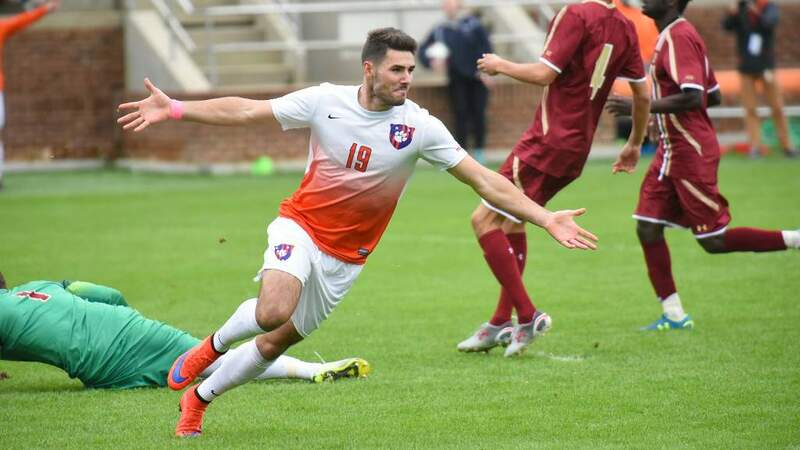 CLEMSON, SC – Dane Richards scored one goal and had one assist in leading Clemson to a 3-1 win over Gardner-Webb in the second round of the NCAA Men’s Soccer Tournament at Clemson, SC Thursday afternoon. Clemson will play UCLA in Los Angeles, CA on Sunday evening (November 19) at 8:00 p.m. eastern time. Clemson is now in the NCAA’s Final 16. This is the 22nd time since 1972 that Clemson has advanced to this round, the eighth time under Clemson Head Coach Trevor Adair in his 12-year career. 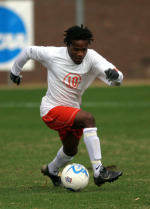 Clemson scored at the 11:23 mark when Dane Richards converted on a penalty kick. Richards was brought down in the box by Gardner-Webb defender Dirk Dittrich in the box. This was Richard’s 11th goal of the season. Bryson Moore scored his third goal of the season at the 76:24 mark. Danny Poe gave the ball to Richards who passed the ball back to Moore who fired a 22-yard shot into the net to make the score, 2-0. Clemson scored on another penalty kick at the 77:16 mark. Gardner-Webb defender Carlton Hughes brought Frederico Moojen down in the box. Moojen converted on the penalty kick for his 11th goal of the year. Gardner-Webb got on the board in the 79th minute. Chris Salvaggione scored his sixth goal of the season with an assist by Hughes.